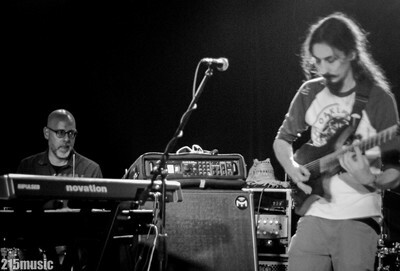 If you haven't noticed, The Space Cats have been quite busy lately on the live scene in Philly, having hosted the Trey Anastasio Band after-party the week before at Bourbon & Branch on the 25th and just this past Friday jamming out at Underground Arts with Tweed and special guest Mike Greenfield for a night of improv, funk & jams. A highly entertaining set with tasty grooves with some fun surprises...much to their delight The Space Cats were joined by Mike Greenfield during their set for the Herbie Hancock classic, Watermelon man..a tune that defines funky,check out the video below. 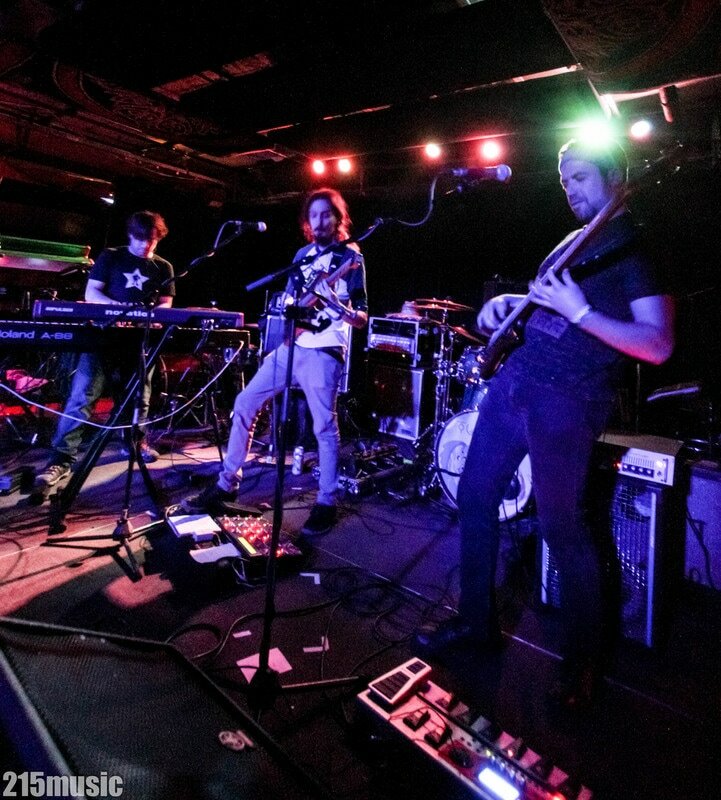 215music: It's been just over a year since The Space Cats made their live debut April 1st 2016 at The Fire, how would you best sum up the road you've been on since then? 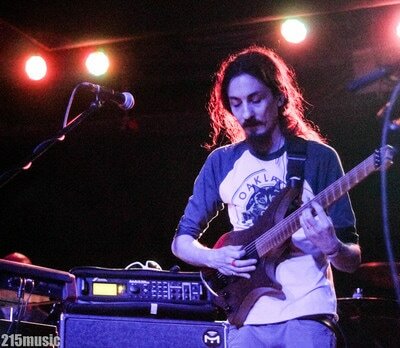 Mur (Ian Mayer, guitar): I feel the road we have been on for the last year has been an introspective one. One year in band time is not a very long period of time at all! We have spent a lot of time finding our sound and unearthing what the Space Cats really are. It’s like we’re on an archeological dig. We arrived at the site and knew something was there, but we weren’t quite sure what it was. As we go deeper into the project we become excited by what comes to the surface but even more so by what lies beneath. It’s been a very exciting time for us. 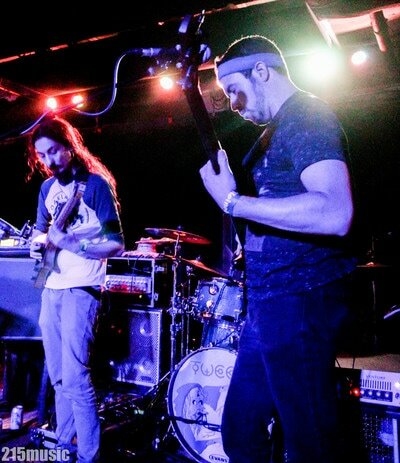 Dur (Dave Rosen, bass): Over the past year, there have been some clear milestones that the four of us have reached. We often talk about ‘leveling-up’ as a band. It’s so obvious to the four of us when this happens. 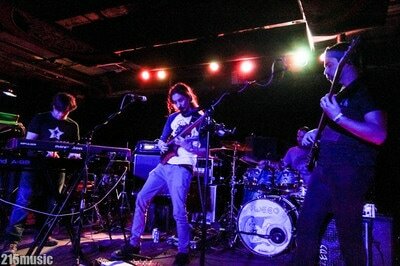 I think recently, we have finally brought our “Spacement” jams out onto the live stage. As Ian mentioned, a year flies by and trying to improvise as freely as you do in the practice room on stage can be really tough. This was a major hurdle we faced early on in our gigs. I think when we started the “Live Chom” releases, the change began. Now, the improv is getting way further out. I know I get so amped each time we reach a “Cat” (improv). This wasn’t true when we weren’t as familiar with one another in the first six months. Also, so much evolves with the music, the composition, and especially the improvisation through very honest dialogue and feedback between the four of us. The past year has been filled with lots of highs and a few lows, but I think we’ve been steadily making progress finding a unique aesthetic within our improvisation and sonic pallette. 215: Jamband music is mostly woven with improvisation, something you four focus on..how do you feel about the term 'jamband' and do you identify with it or is 'Cat Funk' a way to pull away from that broad genre label that gets used a lot today? Nur (Adam Nash, keyboards): This is a great question, and one we ask ourselves a lot. 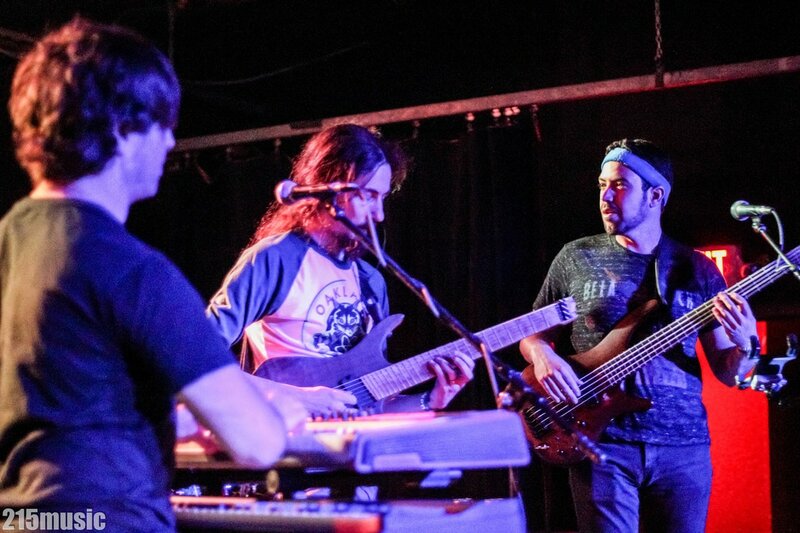 We certainly focus on improv, and we certainly play shows and festivals billed under the “jamband” umbrella. I guess jambands seem to be united under the banner of extended instrumental sections with varying degrees of “improv” happening. Thing is, jazz is improv. Comedians improvise. I’ve seen the Chili Peppers and Muse do a few minutes of pure improv. None of those things are considered “jambands”, so there must be more to it, right? I think it’s as much a “scene” as it is a musical genre, maybe moreso. 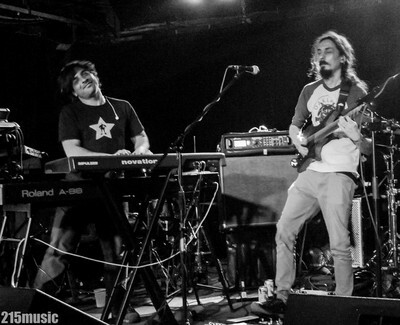 The jamband world has enough diversity that jam fans all have their own tastes and opinions within the category. We definitely have our own strong opinions. Do we jam? Absolutely. We take it as seriously as anything. We have our own philosophy about what it should be, what it should mean, how it should flow, and what kinds of experiences we want out of it as players. Are we a band? Yes. So I guess we’re a jamband! 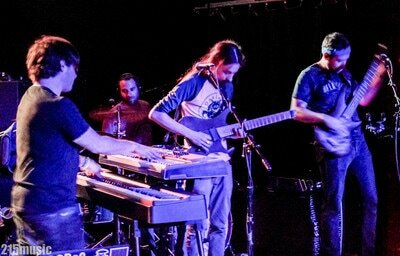 We also sometimes call ourselves a prog-rock band for our compositions, or a post-rock band for our moody, slow instrumental build-ups, or a funk band when we groove. And the thing about jam fans is that they don’t limit themselves to “jambands”. I think you’ll always find a handful at a range of shows, from Herbie to the Flecktones to My Morning Jacket to Tool. Jamband fans are open-minded and embracing of music that requires a bit more from the listener. Songs with structures beyond verse/chorus, long sections with no words, 20+ minutes of non-stop instrumental music. I think we’d definitely appeal to people who are into that kind of thing. I don’t think we use “Cat Funk” as a way to pull away from the label. If anything, it’s sort of a play on Phish’s “Cow Funk” - which was coined in semi-joking reference to the fact that four white guys have no business playing real funk music. It’s pretty tongue-in-cheek! On the other hand, none of us are really deep in the jam-world beyond Phish, who we’ve seen collectively over 400 times - except Ian, who has seen them zero times! We love that Ian didn’t grow up on Phish or jam music the way the rest of us did. He adds a unique sound and perspective that is one of my favorite parts of playing with this band. I hope that we’re different enough from anything in the jam world to pique the interest of jam fans. I also hope that we can interest non-jam fans with sounds that transport you to another place, that make you feel, that invite you to be on the adventure with us. We definitely do a certain kind of improv that people will have strong opinions of. We don’t really try to keep the show dancy or upbeat if the music isn’t pulling us that way. We don’t want to feel any obligation to anything other than the music of the moment. When it’s really happening, it feels like we’re discovering it, not writing it. Sometimes that gets us into trouble if it’s late and people at the bar just want to dance. But, when we’re doing it right, we persist and let the music take us where it wants to. The people in the audience who are engaged are definitely the biggest shapers of that, be it listening intently or dancing to the groove, but we don’t want it to become about “entertaining” them. More about “let’s all see where this thing takes us together”. The philosophy is important to us. For example, we refuse to rely on hand-signals. We try to “collectively compose” by listening to each other and responding as though in a conversation. If Dur introduces a new chord, hopefully Mur and I pick up on it instantly and go with it. It’s actually a lot like comedy improv’s concept of “Yes, And...”. You always agree to someone else’s idea and evolve it. 215: Which musical influences are mostly heard in your music? Nur: As excited as I am to mention our other influences, I’d be remiss not to mention Phish. Sal, Dave, and I grew up on Phish, and they’ve definitely inspired and informed our predilection for improv. But that’s actually where the jam influences end, more-or-less. I’ve attended and really enjoyed a lot of other jamband shows, but none would rank as “major influences” compared to other stuff. We all have really different influences. My personal biggest influence is video game music, which I make on the side as a freelance composer. Not the big AAA symphonic stuff, but also not the bleeps-and-bloops of chiptunes. It’s more of a melodic and harmonic aesthetic. Yasunori Mitsuda might be my favorite of all time, particularly Chrono Trigger. We all love a ton of different stuff. Sal is really into Tower of Power, but also Michel Camillo, but also Bruno Mars. Mur is really into Animals as Leaders. Dur is really into a million things - including, by the way, the neuroscience of musical improv. Mur: As a guitarist I’ve always been attracted to guitar centric music. In the past I was really into jazz rock fusion. Al Di Meola and Allan Holdsworth are huge influences in my playing. After listening to a ton of music from that genre I started to crave a new flavor. Recently I’ve really been into progressive metal. A few bands that I enjoy who are working today are Meshuggah, Plini, Haken, and Animals as Leaders. There are moments in the Space Cats where I use a more aggressive approach than may be found in bands that we share the stage with. Philip Glass is also an artist that I adore. I think that minimalist classical elements can be found in the Space Cats sound. Dur: I hear so many of the influences mentioned by Nur in our music. I can’t list my influences. Anything from Disney music to prog-rock to Herb Albert and the Tijuana Brass. 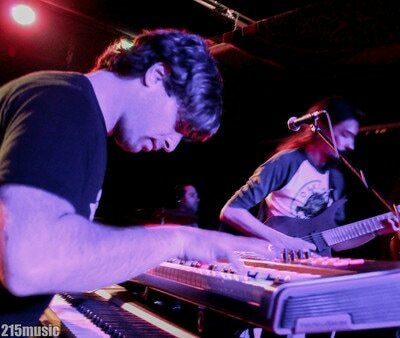 Nash, Sal, and I have been playing music together in different bands for the past 10 years. When Ian joined, everything changed. His progressive metal and harder rock background really infused The Space Cats with a unique sound and sparked a level of creativity I have never felt before. In terms of personal influences, I have been studying the basslines of James Jamerson for the past year or so with my teacher, Steve Beskrone. He’s incredible. Jamerson was on all of the RnB, Motown, and Soul hits of the 60s and 70s. His lines held songs together, and producers started bringing the bass way up in the mix of those hits because of how incredible he was. He defined the sound of that era. Jamerson masterfully keeps the song feeling good, while still being interesting. Those sixteenth note chromatic approaches on the 4th beat of a measure are a staple. It really makes that downbeat feel so good. The relationship between what I listen to and what I shed when I “chop shop” is interesting...stuff always seem to subtly creep their way into our sound but it’s not that obvious. I don’t really practice what I play. Instead, I try to work on more global aspects of music (timing, rhythm, reading, note choice, techniques, etc.). 215: If you could have any artist sit in with you guys, who would it be and why? Nur: Besides Trey? Haha. Maybe Victor Wooten? Because he clearly gets it. I’d highly recommend The Music Lesson as Dur mentioned. Actually, we have a pretty hard time with sit-ins. So much of the improv is about the intimacy between the band-members. Although, Mike Greenfield from Lotus just sat in with us at Underground Arts, and we loved it. So maybe we should try it more! 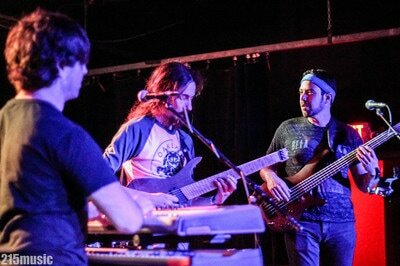 Dur: I think if Victor Wooten sat in with us, I’d just hand him by bass and watch, in awe. 215: Creatively, who does the composing or forms the main structure for your songs, or is it collective? Nur: Dave, Ian, and I write the base songs using Logic. We all do this to varying degrees, but I personally like to write every instrument’s part, so you can hear my demo as a complete song. This definitely comes from my video game music work, where the composer single-handedly goes from nothing to a finished song all by themselves. If it’s a song I wrote, the final bass and guitar lines are usually really close to what I wrote in the demo. And if it’s a song Dave wrote, for example, I’m usually playing the keyboard parts he wrote. But then after the demo is done, we bring the song to the band room, where we’re open to anything happening with it. We enter a group-writing process that may or may not totally change the song. We’re all really open-minded to what a demo might become. Some songs, like Furra, are still really close to the demo, which I wrote earlier this year. Others, such as Bastet, are totally different than the initial demo, which Ian wrote before he even joined the band! We don’t bother with writing credits though. No matter who wrote the initial demo, credit goes to all 4 of us equally. 215: What has the response been so far for the band? Favorable I take it? Dur: I’m not sure how to gauge the response to date?... It’s a process for a “response” to even occur. For this to happen, it means people need to care. There are a million bands, DJs, and videos all over the internet. There is a plethora of entertainment content. So, why the Space Cats? We’ve been trying something new in terms of our “content stream”. If you check out our Bandcamp (thespacecatsband.bandcamp.com) or website (www.thespacecats.com), you’ll see 8 releases, I believe. 8 releases in a year! This is the age of the stream. I think many of our fans keep tuning in and coming to shows because there is always new content. With the way we improvise, there’s always something happening that people haven’t heard. But, we’re finally at a point, where we are getting ready to put out an EP of original songs. I’ve been itching to get this studio EP released. I’m excited to see what the response will be to that. But to answer the question a bit more directly, things have been building...gig by gig, release by release, and we have a nice local fan base. 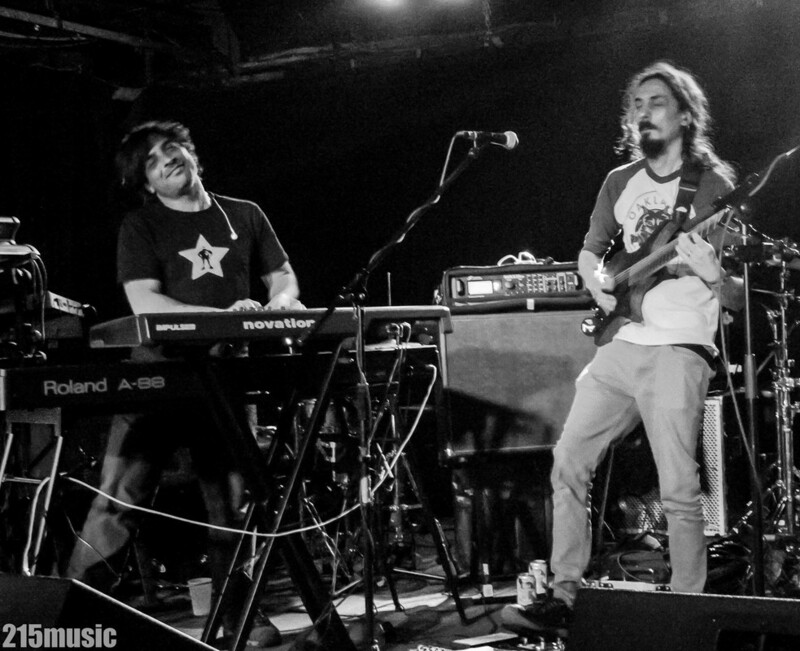 Our recent shows at our Trey Anastasio Band After Party and last weekend at Underground Arts w/ Tweed and Mike Greenfield (of Lotus) was one of the first times we were showcased in front of large, local jam audiences. We are feeling really comfortable at this point and more mature as musicians. We can’t wait to do it more and more. 215: With so many summer festivals happening this year, do you plan or see yourselves joining the 'circuit' at some point? Dur: We would definitely be interested in playing summer music festivals, both jam and non-jam. We’ll be getting a taste of it this summer when we play the American Music Festival in VA Beach (3 sets) and Meeting of the Minds 10 in PA (2 sets). I think next year, we’ll be greatly expanding that list with the help of our manager, Ben Singer. If the ‘circuit’ enjoys our music and there is demand for The Space Cats, then we’ll be there ready to rock! 215: This was your debut at Underground Arts on Friday, what did you think of the venue? How was the sound for you on stage? Ian: Underground Arts is a top notch venue but it maintains a DIY feel which I think is really cool. I grew up doing a lot of basement shows which I loved doing. To me, UA captures that feel while still offering professionalism at every level. The sound was excellent from both perspectives on stage as a performer and on the floor as a viewer for the other acts. That was a very energizing show for us. We look forward to being back at UA in the future. 215: What's in the near future for TSC? Studio recordings, tours, merch? Nur: First, we’re finally releasing a studio EP! So far, we’ve only released EPs recorded live that are like 90% improv. But we’re finally going to release studio versions of our first batch of songs! Beyond that, we hope to keep doing what we’ve been doing this year - release as much as we possibly can, as often as we can. Our philosophy since day 1 has been to highlight our favorite improv moments. That’s why we actually separate and name the jams - the “cats” as we call them - from the songs that launch them. So “Milo (Improv)” always follows Bastet, but will always evolve into something new. We want to be a “living” band with constant new releases regardless of how many new tunes we’ve written. We see ourselves more like a serial comic or TV show - it’s always ongoing, with smaller, more regular releases. 215: Do some/all of you have cats at home? Nur: Ironically, not really. Dave has a cat, Carini. I’m very recently out of a long relationship in which I had 2 cats, one of which is the namesake for the “Sweet Pea” jam we sometimes do after Furra. I love cats. Sal does not. Dur and Mur and both cat-neutral, I believe. Dur: I am not cat-neutral. I love my little baby, Carini. But my puppy, Tomrakis, is my spirit animal.